MamaBreak: PMD: For a brand new you! Are you looking for ways to improve your skin for the holidays? I know I am always looking for ways to look and feel better about myself, but as a mom it can be hard to find time. I love going to the salon to get beauty treatments, but finding 5 minutes in my day can be a small miracle, much less an hour! That is why I have completely fallen in love with PMD! 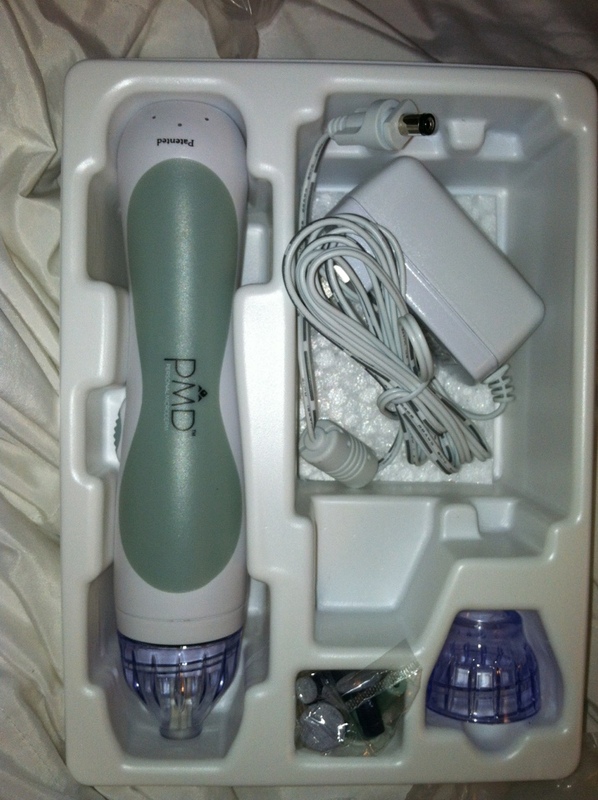 Imagine getting professional dermabrasion results right at home! 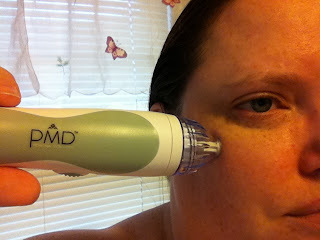 PMD stands for Personal Microderm. Microderm works to remove dead skin cells, while revigorating youthful skin cells allowing your skin to be brighter, healthier, and more youthful in appearance. It contains everything you need to start microderming at home! The device it self has a nice shape that is easy to hold. It also plugs in, eliminating the need to batteries any time you want to use it. The top of the device has a plastic "holder" that holds the micrderming discs in place. It is very easy to off and put back on. 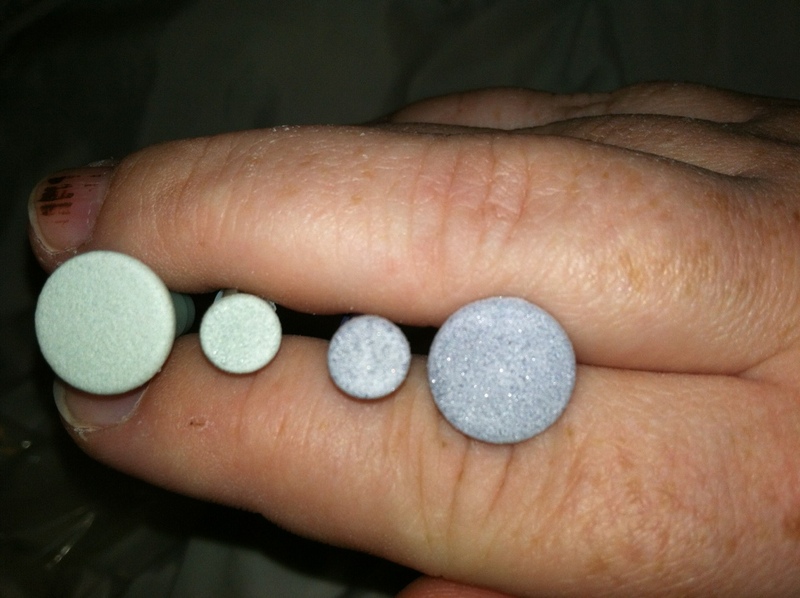 The discs themselves vary in size and color. The light green discs are for sensitive skin, and are what I used on my face. I used the larger one for larger areas, and the smaller one for the smaller areas. The blue discs are for more normal skin. I actually used them on my feet for a pedicure! Yes, you can use the microderming on your feet, hands, elbows, etc. It worked amazingly well as a heel exfoliater. The last deic is red, and I did not try it out and it is not pictured. It is for really rough skin. 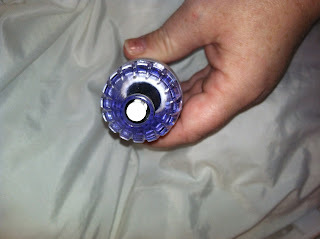 When using, you pull your skin taight with one hand and apply the PMD to the other. It is really simple to use and I had no problems in learning how to use it. It comes with an extremely helpful DVD which is a MUST watch before you use the PMD. Overall, my skin look brighter and healthier after the first use. I could tell a difference right away! I could especially tell a difference when I used it on my feet! After 3 weeks of use, I believe my skin looks smoother with less fine lines! I could really use one of these. Thanks for sharing! Great review and nice pictures. I just got one of these and I really like it but it took me a couple tries to get it right. I want one! Looks really neat! Great review! !